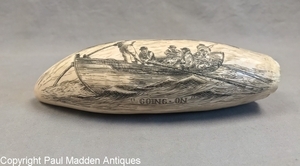 Vintage* Sperm Whale tooth with scrimshaw of a whaling scene titled "Going On" by master scrimshander William Perry (1894-1966). 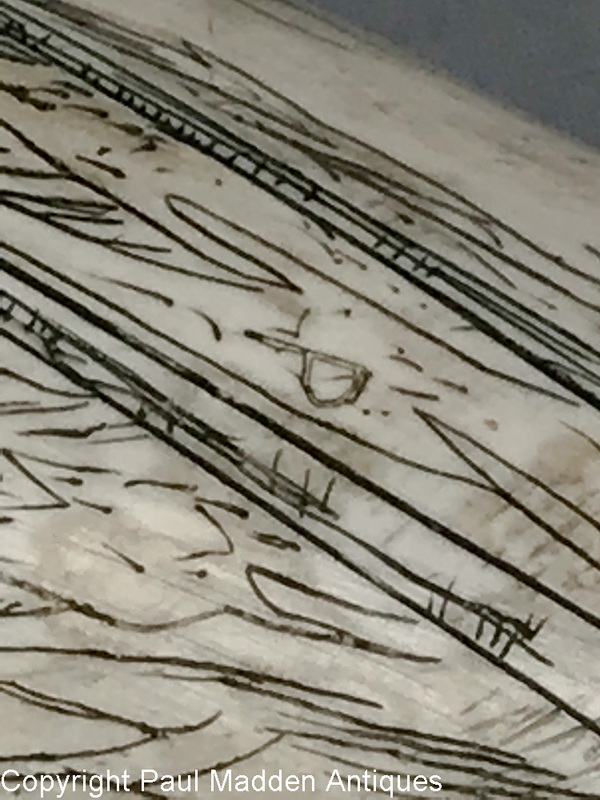 Signature / initial "W" and "P" are hidden within scene. American, circa 1950. Great condition. 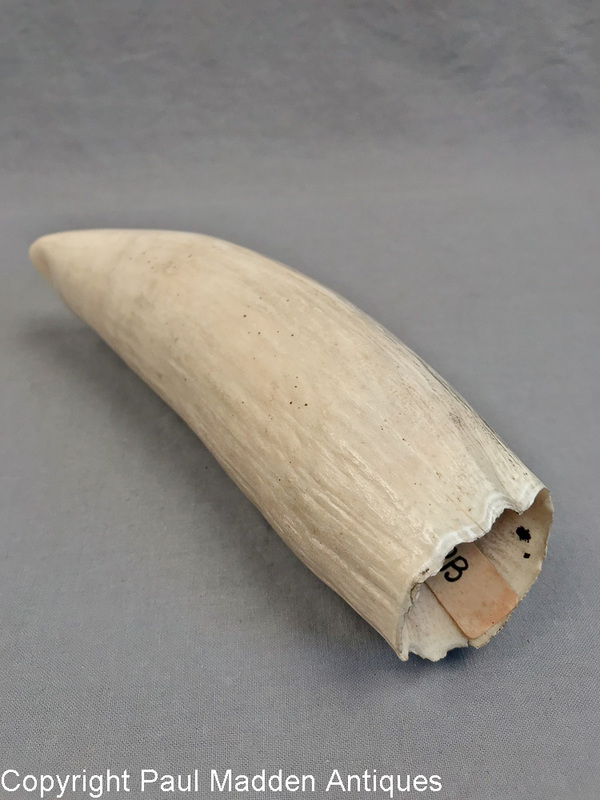 Measures 7" long. 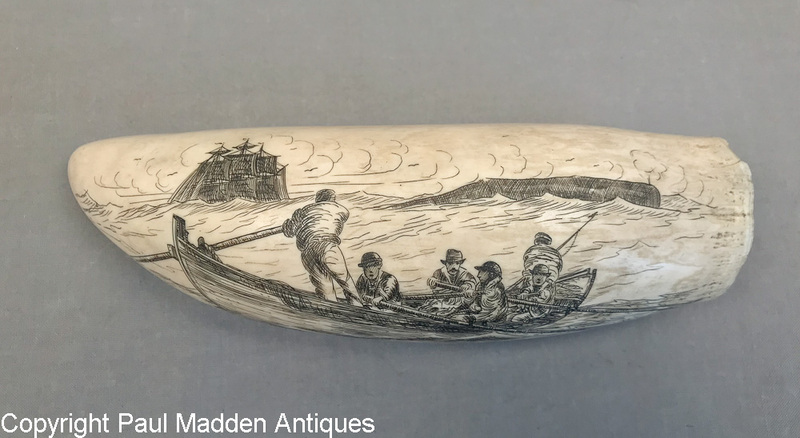 * Vintage scrimshaw for sale only within Massachusetts in compliance with federal and state laws.